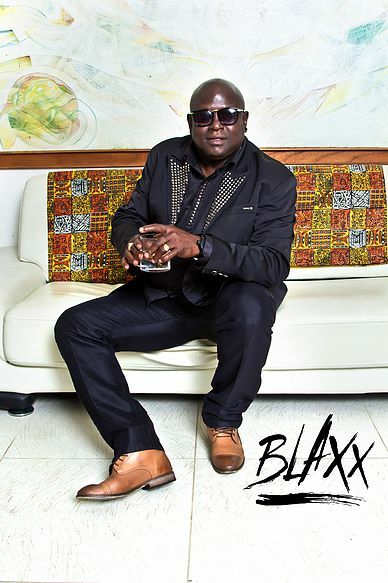 In this exclusive interview, soca superstar Blaxx gives Paradise Pulse insights on his life, his family and his career. You have been in the soca arena for over 20 years, performing with a variety of bands before joining Roy Cape All Stars. What was your most memorable experience of your career? Definitely difficult to pinpoint just one experience, but I would certainly say being invited by the Mayor of New York’s office to perform at the exclusive 1199 Christmas Event alongside some of the biggest vocalists in the world was one of those special moments. Performing in the same building as legends such as Sanchez, that is a once in a lifetime opportunity. Genres of music from all over the globe were there being represented in Manhattan, and imagine I got the opportunity to represent Soca in such a diverse platform and space. Really a defining moment in my career for me. 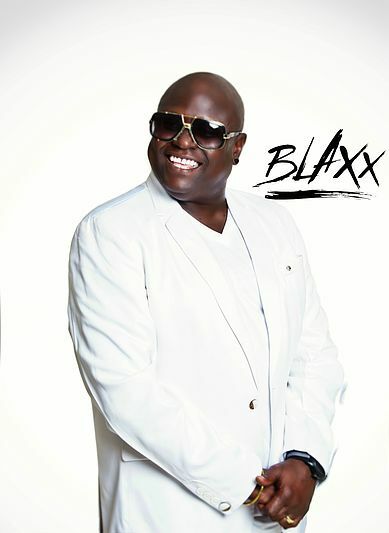 How did you get the name Blaxx? My dark skin colour. A lot of people saw it as challenge for me professionally, but it’s always a part of me that I have embraced in the face of adversity. I love me! You have to love yourself to be truly happy and successful in anything in life! Tell us a bit about your background including where you were born and where you grew up. I was born in South Trinidad and grew up in Morvant. Both places are very dear to me. At what age did you start singing soca? I didn’t start singing soca until my adult years, but I started singing at a very young age – probably 8 years old! Who introduced you to music? My parents. My father, Jerry, was a very talented keyboardist and saxophonist and led his own band “Jerry and The New School”, and my mother was an excellent vocalist. I started singing in church, and progressed to different genres from there. But my parents really set the foundation. Your first big soca hit was in 2007 when you sang “Dutty”. Did you ever imagine becoming the big star you are today? I don’t think anyone could ever anticipate that level of success. What they can anticipate though, is that hard work pays off. And I worked very, very hard to be where I am in my career today. Also, “big” is defined differently by different people. I stay hungry for my career, and for me a true mark of success is to see other people in the industry close to you succeed too. What is your favourite soca composition? You’re asking for my favourite soca tune over a 31 year career (laughs). That’s really a tough one! I’ve supported so many artistes through the years with Roy Cape, it is impossible for me to pinpoint just one. Who is your favourite soca performer? 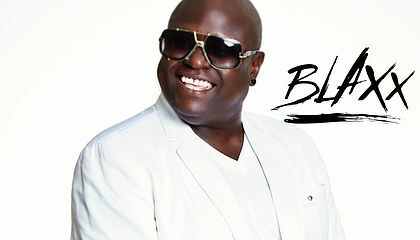 I am my favourite soca performer! (Smiles) but seriously, as I said before, at this stage of my career, my goal is just to help other younger, up-and-coming artistes with their craft. I really can’t choose just one. Every artiste has that little something that defines them, a little spark that motivates them, and a little flair that sets them apart. We have to learn to celebrate it all. Do you have any close friends in the soca industry? Many, many artistes. I really like collaborating with the veterans, as well as the up and comers. Take for example - this year alone I collaborated with Explainer and Ricardo Drue – two completely different generations of performers, but both of them are talented within their own right. Tell us about your songs for 2016. The title is an abbreviation of the widely popular “National Geographic.” This track is about inviting people to come to Trinidad; not just the regular people in the Caribbean Diaspora, but also people who are new to the Carnival Experience. We’re nationally geographical! Easy to find, easy to travel to and we have it all – sun, culture and fun. “My woman gone, in de middle ah de dance floor and start to perform!” I generally don’t sing about women in the way that most artistes do – I prefer to uplift and highlight women instead of take a derogatory approach. This song is based on a true story, and you can look out for a serious powerhouse remix too! This one is on the Brass Tax Riddim, and you will also hear more from artistes like Destra, Ravi B etc. We actually stumbled on Persuasion as we were developing this one. This is a duo essentially with Ricardo Drue - my youth, my student, and my friend- my little brother from another mother with a different colour! He’s a very passionate Soca artiste – one of a kind! Patrice Roberts did the background vocals, and it’s genuinely a feel-good song, blending the old kaiso vibes with the new Soca feel-good music. This is easily one of my favourites and I’m hoping it’s also one of the most popular this year. Voice (real name Aaron St. Louis who is now with Roy Cape All Stars) did the demo and really brought this to life for me. I fell in love with the song right away and then getting to work with some of the best in the business - the Hart brothers from Full Blown Entertainment - on this was even better. From MadMen to FBE, just pure talent! This year, I wanted to return the Power in Soca Music. We did a photshoot recently at Dr. Leroy Clarke’s residence (Legacy House) and I was talking to him about the general breakdown in society in T&T. “This is what could take Carnival back to its roots including a return of power Soca in a larger way” is what he said, and that was just such an important connection to make with my music. For me, Power is the anchor of T&T Soca – from the Road March to the WASA and Brass fetes – it’s always been the voice of the people. Being able to write this song with Hitz and Kimoney (both from Grenada) really brought a Caribbean unity to the sound. Written by Andrew “Hitz” Phillips and Kimoney Carmichael. Produced and mixed by Advokit Productions. Mastered by MadMen. What do you consider to be your big song for 2016? I love all of my songs for all different reasons. However, Master of Mas seems to be the song that the people really identify with this year. I feel like we took Carnival back to the core with the tune. Slaughter large up yuhself! Who wrote and composed your music this year? I work with various writers, mixers, masters on the different songs. It’s always good to work with different people, explore new territory and give your fans a special something with each tune. Why do you think 2016 will be your year? 2016 has been a year of growth and appreciation for me for sure. Roy Cape All Stars stands out this year as a band of incredible talent, and people are appreciating the instrumental side of the artform now more than ever before. Brass is Mas! I also have a great, hard-working team around me that really put their focus on logistics for the season, so that I can strictly focus on creating good music and giving my all at event performances. My stylist, Nikiesha John from Shhh Boutique, really took me to another level with my wardrobe this year, and fans have really been taking notice of the way I look now – especially because I lost a lot of weight too. My Road Managers, Kevin Stephen (who is also my booking agent from New York) and Seon Isaacs from Isaacs Promotions (who has been with me for a long time) take care of everything where performing at events and (back)stage needs are concerned. Royee (Roy Cape Jr.), has been my manager for such a long time, and I really enjoy the familiarity of our relationship – he usually knows what I need without me even having to say it to him sometimes. Giselle Gellineau always handles the Roy Cape Family with care – 16 years in, she is so invaluable. And my Publicist, Tenille Clarke, is my PR guru – she is always on hand for everything to do with media and making sure that everyone is always in the loop with news updates, touring dates, etc. But the little things count too as well. My son, Kello – he will come and knock down my door to wake me up every morning, just to make sure I exercise and eat properly. My good friend from Grenada, Andrew “Hitz” Phillip – he’s more than just my producer, but he’s a good counsellor to talk to and bounce ideas off of in this fast-paced, crazy music industry of ours, and he gives great advice – brilliant young man. (Ricardo) Drue, Darnella and Voice (Aaron St. Louis) set such a good example in Roy Cape rehearsals – they work really well with the musicians and really set the bar high with their raw, natural talent, but their level of discipline towards their musical craft is what really motivates me to always be on top of my game. They are educated in their field – for example Drue is a classically trained singer and Voice is pursuing a degree in Theatre Arts at UWI. They are changing the face of Soca in their own way and I love and support that 110 per cent. That is what I’m here for. And of course, there is Pappy (Dr. Roy Cape). I would really be nowhere near the level of success that I enjoy now in my career without his counsel and guidance over the last 3 decades. I owe him so much and still take every opportunity that I can to ask for advice from him. Never too old to learn, and Pappy has experienced it all! What are your plans for the rest of 2016 and 2017? The plan never changes – I keep working. 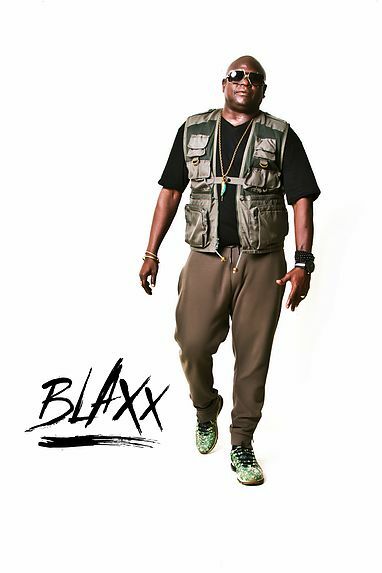 New music to record, new events to perform at, new plans to execute and new goals to reach – all will be revealed in due time, everyone just has to stay tuned to my social media to find out – Instagram, Twitter, YouTube and Facebook @dsblaxx! What do you do when you’re nor performing? To my fans, I could say a lot yunno. But I would have to simply say: Thank you. Thank you for your continued support. Thank you for always showing love to the Roy Cape All Stars Family. Thank you for always being honest. Thank you for the love. Thank you for pushing me as an artiste to do better and give my all creatively. 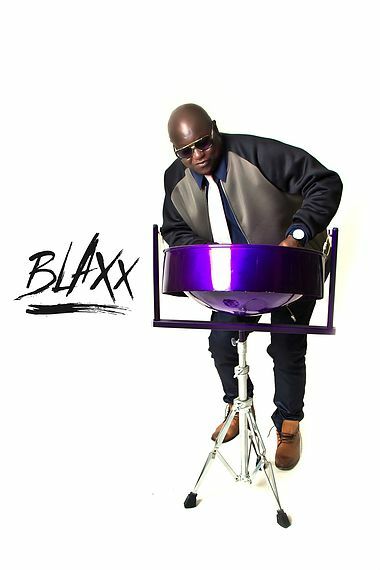 The experience is always a two-way street with my fans: I learn as much as I teach and set examples as BLAXX the entertainer. And that is what takes your talent from a career to a legacy. As long as I have supporters like them, I will always aim to share the very best in everything that I do. And hopefully that could be for another 30 years and more!